Updated Monday April 22, 2019 by Beamsville Minor Baseball Association. With the exception of Rally Cap, all divisions are now full. Please contact dsrickard44@gmail.com to be put on a waiting list. 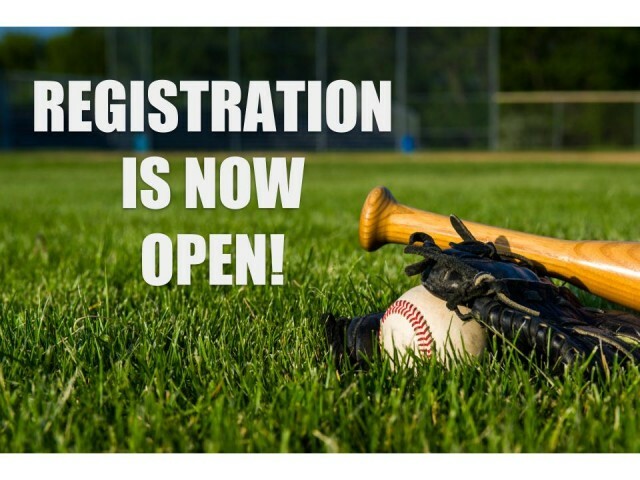 Registration is open for the 2019 Baseball Season! We reach capacity in every division every year normally by end of February... avoid being put on a waiting list and register early! Once again, all registration will be on-line only this year. Please visit the website homepage to get started and click on the “REGISTER ONLINE” link at the top of the page. You will be asked to log into your account, or create an account when you register which will give you access to a lot of great features like your very own team page, your team schedule (games & practices), news, and you will be sent email or texts with any updates to schedules, practices, rain-outs etc. Please note, payment is due upon registration. If you choose to pay by cheque, please make sure we receive payment no later than May 1. If payment (or arrangements to pay) is not made by May 1, your registration will automatically be cancelled and a player from the waiting list will be registered in your place. For more info on the season, see the About Us tab. Local league registration fees includes a hat and shirt. Pants are not supplied, however, we encourage everyone to purchase their own grey pants. Most regional sports stores will carry these pants. Please be aware, the last 5 seasons we were at full capacity in every division. This season we are expecting the same so please register early to avoid being turned away or put on a waiting list. Players will be evaluated prior to the start of the season and teams will be made accordingly. Players may play up one division but availability may depend on the needs of the teams in each division as well as the skill level of the player. Player safety is our first concern when it comes to younger kids playing with older kids that could be 2-3 years older. We cannot guarantee special requests for children to play together, however we will try our best to accommodate. And please consider being a coach or assistant this season, the success of our teams and the association as a whole depends on our volunteers! Please don’t worry if you have little or no baseball experience, the league will support you with training and materials. Thanks, and look forward to seeing everyone out there this year!